A cast of British heavyweights and a top director should deliver. No real surprises in a watchable, run-of-the-mill heist movie. Misses its opportunities to say more about men in crisis. The inside story of the Hatton Garden diamond heist, with Michael Caine and Ray Winstone. In the three years since the Hatton Garden burglary took place, three films have been made to document it. The robbery of an estimated £14 million worth of valuables back in 2015 by a unit of ageing, experienced thieves, has now passed into legend as the largest burglary the country has ever seen. Directed by James Marsh, King of Thieves is the latest attempt to tell the story, detailing the heist itself and the troubled friendships between the men who tried to get away with it. Michael Caine leads the cast as Brian Reader, the titular King of Thieves, mourning the recent death of his wife. He is coaxed back to criminality when a younger friend (Charlie Cox) reveals an entry plan for the Hatton Garden safe deposit vault, and they begin to recruit the old gang of swindlers to help break in. The group are greedy, blokeish bullies who are bored at the thought of retirement and desperate for some excitement. 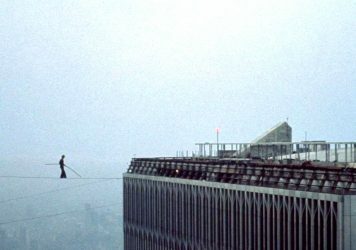 Marsh’s restaging of the robbery and its aftermath is entertaining enough, and the film rarely feels slow or strained. The script has some sharp and witty moments but the comedy tends to rely, unsurprisingly, on tired jokes about being old, and excessive use of the f-word. Tom Courtenay does stand out for his comedic talents here, and in its more sinister turns King of Thieves allows Jim Broadbent to shine as a threatening antagonist, keen for his own leadership role. Age is at the crux of the narrative, but it feels cheapened and mishandled throughout. For the group to get off lightly in court because of their older, ailing bodies, would be “patronising”, remarks Reader towards the end of the film. 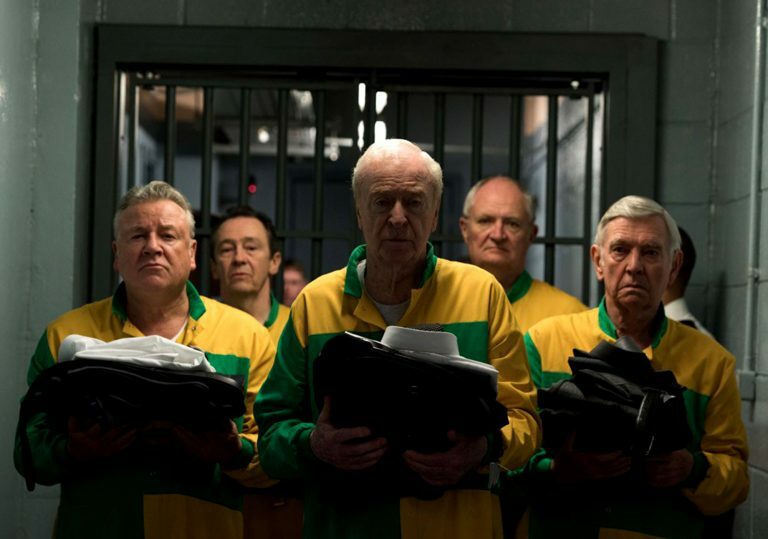 The trend King of Thieves follows as a whole, however, is patronising in itself, this exasperating genre of geriatric heist movies and the ‘one-last-job’ excuse. 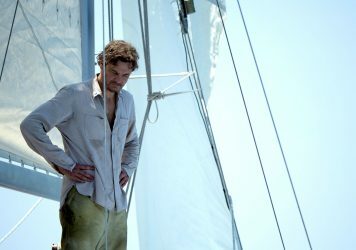 Other conversations throughout the film suggest there was room for a more nuanced examination of ageing, combined with the pressures and fragility of a traditional masculinity. Reader struggles to talk about his wife’s death, while accomplices Perkins (Broadbent) reassures the others that he’s not “insecure”, and Wood (Paul Whitehouse) stands strong against jokes about his Crohn’s Disease. These brief moments are mere hints that never really linger, and the film often opts for the cheap laugh over a more insightful interrogation of the personal crises the men are facing. King of Thieves falters in attempting to follow two heavily conflicting threads, one that accurately reflects the work of the real-life brutish crooks and one that revolves around the acclaimed cast and their own acting legacies. Marsh juxtaposes flashes of London in the Swinging Sixties, all fast cars and stylish gangsters, with London now, in a confusing and somewhat misplaced comparison. There is nothing slick about the Hatton Garden robbers with their xenophobic and homophobic quips, their criminal backgrounds, and their aggression towards one another, let alone anyone else. The conflation of star with character throughout, and particularly in the closing scene, seems a dangerous compliment to the thieves and suggests the film is far more concerned with paying homage to its actors. At one point, Winstone’s character states that he “ain’t in the business of encouraging some old man’s vanity,” but it seems Marsh perhaps is. 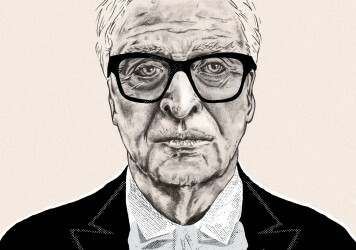 The British screen icon reflects on his remarkable career ahead of his starring role in Paolo Sorrentino’s Youth.